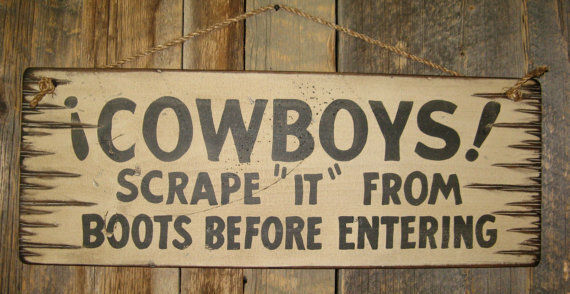 Cowboys Scrape “IT” From Boots Before Entering! 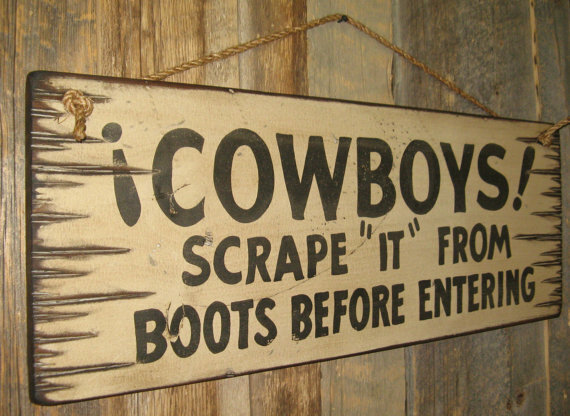 This is a nice way of telling your guests to loose the “stuff” that’s stuck on their boots before entering your home or office!! 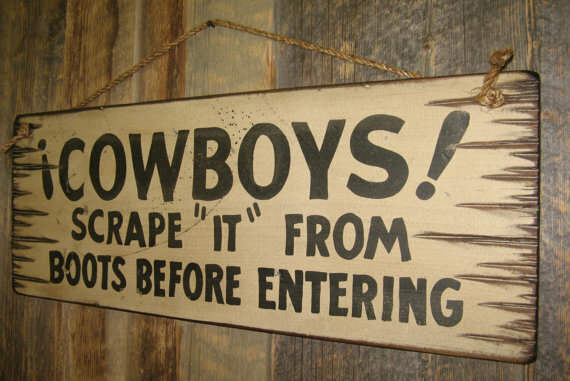 This white background sign measures 11×30 and comes with the grass rope hanger for easy hanging! Handcrafted with pride! !